Sichuan: Xiangcheng Xian. Crest of ridge along summit of Wuming Shan (dividing line between Daocheng and Xiangcheng Xian). Alpine meadows, dwarf Rhododendron scrub and rock fields. 29°8'46"N, 100°2'18"E; 4700 m.
Growing through shrubs of Rhododendron. 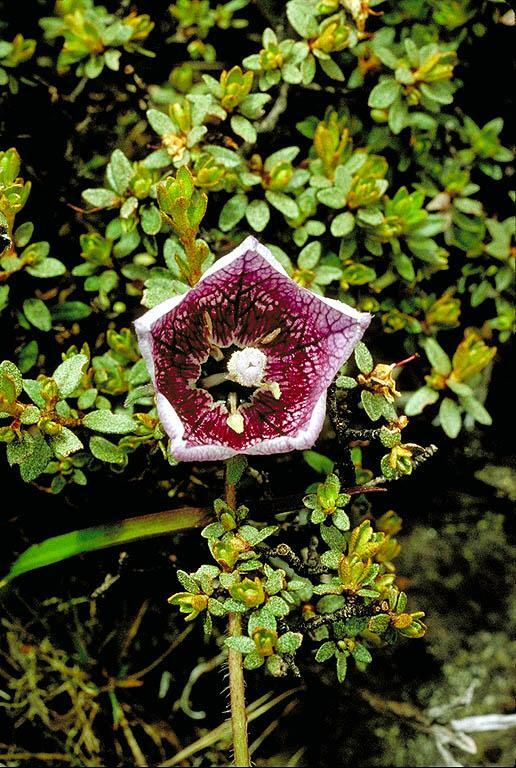 Plants with foul odor; corolla white with abundant purple venation and flushed with purple at base.